Android Phones have captured the most coveted market space of the smart phones in both the domestic and global markets. There are emerging markets which are following the suit from the developed nations to turn to smart mobile interfacing for better user experience. You can engage us to provide your complete website or business portal as a simple application by incorporating smart Android applications. We are the people you would look for creating such applications that really matter considering the market penetration and bran reputation. While designing and developing applications, we carefully consider your business priorities before we provide with possible options. 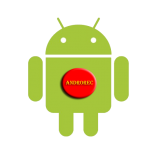 AndroRec is a very light weight yet powerful call recorder for android phones that records all your incoming and outgoing calls automatically to your SD card (External Storage). Are you in love? Afraid of a break up? Use Breakup Calculator to find out your chances.